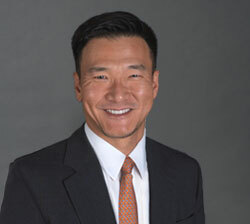 Richard Chin, M.D., is Founder and Chief Executive Officer of Kindred Biosciences, Inc. Dr. Richard Chin is a Harvard-trained physician and a former Rhodes Scholar with a track record of almost a dozen drug approvals and over 50 INDs. Dr. Chin has developed several drugs for immune diseases, including Lucentis, Xolair, Tysabri and Rituxan. These products have yielded over $10 billion in sales per year. Previously, Dr. Chin was Head of Clinical Research for the Biotherapeutics Unit at Genentech, where he oversaw Genentech’s drug development programs; Senior VP of Global Development at Elan; CEO of Oxigene, a Nasdaq-listed biotechnology company; and CEO of OneWorld Health, a Gates Foundation-funded nonprofit developing drugs for impoverished patients in developing countries. In 2006, BusinessWeek named Dr. Chin one of 99 youngest public company CEOs in the United States. In his exclusive 2,869 word interview with the Wall Street Transcript, Dr. Chin details his company’s upside for investors in the near future. “Over the coming years, once the plant reaches maximum capacity, we expect to have enough manufacturing capacity for our deep pipeline. It is quite large. The reasons why we are doing this are several. One is that the technology is so new in the veterinary space; there really aren’t companies out there that can do contract manufacturing for us. “I was on the human development side for a long time. And on the human side, it costs about $1 billion to develop a drug, and a blockbuster generates revenues of about $1 billion a year. Get the complete detail on the upside for Kindred Biosciences from its CEO Dr. Richard Chin.